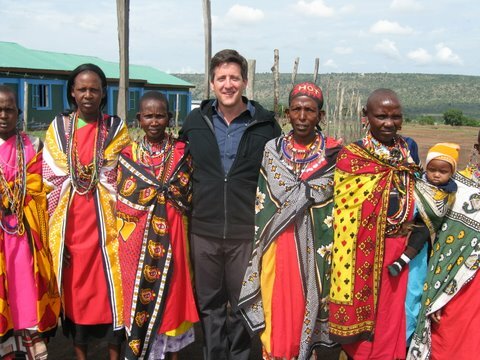 As part of an on-gong series intrepid traveler Warren Kimmel the Host of our hit CNBC World TV series WTF is determined to dispel the myths of his favorite continent. Coming from Africa myself, (Born and raised in South Africa) I long ago became used to people asking crazy questions about the place. Did you grow up with Giraffes in the back yard? Did you have pet lions? That sort of thing. That was a while ago though and over the past twenty years through media attention, the Internet and also some more adventurous travel, Africa no longer engenders quite the level of ignorance it used to. Having said that, however, returning to Africa for the shooting of the first six episodes of WTF I realized two things. 1. Just how much Africa itself has changed in those twenty years and 2. just how much misconception remains about what AFRICA is really like. This may seem obvious to anyone that’s ever visited Google Maps, but again and again I find that while people may of course actually know that Africa is a continent of many countries, they behave as if it’s one big place. Now there is a rude joke about a particular American former President who seemed to believe that Europe was ‘one big place’ but of course anyone who has been will know just how different France and Germany can actually be, to say nothing of all the others. But I honestly believe that the countries of Africa may be even more various and different from each other than the countries of Europe. Visit South Africa, Rwanda, Senegal and Egypt and the only similarities, the ONLY similarities would be the sunny climates – and even then you would have to hit Rwanda on a good day. No doubt the cathedrals of Europe and the cultural riches to be found there are without parallel but are they really that different in the end? 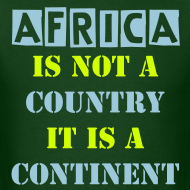 There are over 45 countries in Africa (not including the islands) – some magnificent and some struggling – but each one is, I guarantee you, totally unique. If you are really into TRAVEL and ESCAPE and a taste for the undiscovered, I would recommend Cape Town and Cairo over Paris and Copenhagen. The Rainbow Nation is not just an idea! I remember driving through a remote part of South Africa. One of the places you never really go to, except on the way to somewhere else. The kind of place that used to be called a one-horse-town before the horse died. We were looking for an obscure husband and wife couple that was manufacturing fine pottery and ceramics from an abandoned farmhouse using the ladies of the local tribal villages as artisans. We pulled up on the main (and unpaved) road of the town to ask directions hoping that someone spoke decent English because we were the only white people for miles and my Zulu just isn’t what it used to be, my Xhosa …. fugeddaboutit. I walked toward the small group of shops nearby and when the dust cleared, I thought the heat had gotten to me and I must be seeing things. There in the middle of Africa, five hours drive from the nearest big town was the last thing I would ever have expected to see: “Mr Wong’s” Chinese take away. Now I know that the Chinese have done a pretty amazing job of getting their cuisine to some pretty far flung corners of the globe but take my word for it, The Xhosa nation have yet to embrace the concept of Kung Pao Chicken and Shanghai Noodles, same goes for the Zulu warriors hanging around the place. No, as it turns out, there was a sizeable Chinese population in the area (big enough to keep Mr. Wong run off his feet). A Chinese entrepreneur had purchased a large textile factory in the area and a brave and determined Chinese community had coalesced. Coming to seek their fortune. And so it was that in the middle of Africa we enjoyed our Shanghai noodles with extra dust, and to the jangling accompaniment of the local goat herd grazing nearby. And we played with Mr Wong’s granddaughter who was, amazingly and just like all the other barefoot urchins kicking up the sand) an African. This happened again and again on our travels. We encountered the most unexpected ‘settlers’. Chinese, European, Africans from thousands of miles to the North. Indians, Americans, Koreans and Singaporeans. They are all there. And they seem to be staying. Africa has a dismal past as far as foreigners are concerned and but I can’t help thinking this is a good and important thing for the continent as a whole. Whatever it means, you’d be amazed who you will bump into in Africa these days and if, in your travels, you come across “Mr. 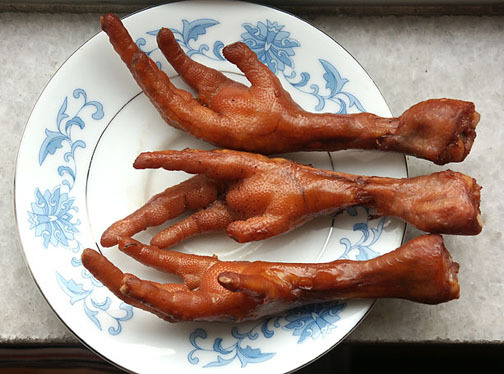 Wong’s”, try the chickens feet.